March is an important month for women. In the US, it is Women’s History Month. On March 8 International Women’s Day is recognized worldwide. It is so important for women and men everywhere to recognize the great progressive strides we have made throughout history, so that as we look to the future, we know exactly the legacy upon which we stand. 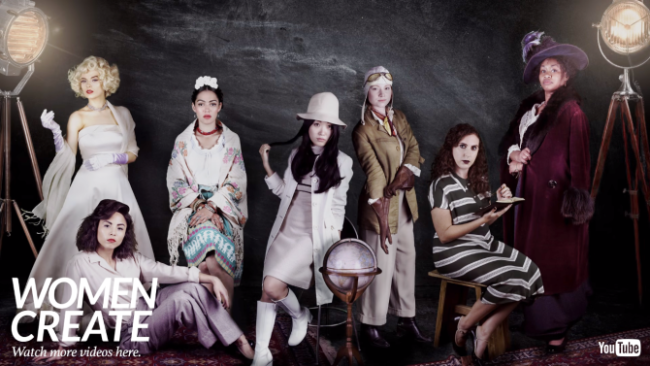 And speaking of the future, it is only fitting that in order to influence a whole generation of girls to embrace female empowerment and the importance of equality, the United Nations has teamed up with 7 female Youtube stars from around the globe to share the message of feminism to their loyal and numerous audiences. 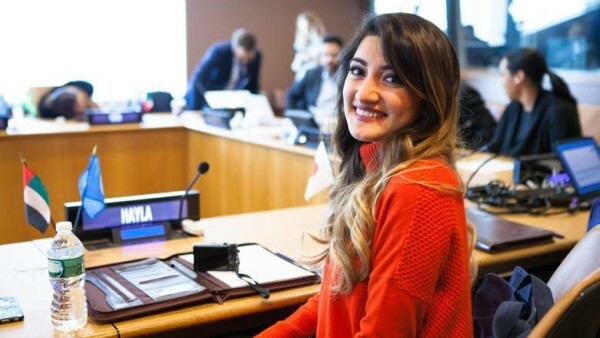 It is a year-long partnership between the UN and Youtube, where the jumping-off point was International Women’s Day. This is a first-of-its-kind collaboration for the UN, who are well known for teaming up with celebrities such as Emma Watson and their first male ambassador for UN Women, Bollywood star Farhan Akhtar. This group of Youtubers were handpicked to become part of the 17 Sustainable Development Goals which are geared toward ending poverty by 2030. One of those goals focuses on gender equality. The Youtubers are Ingrid Nilsen and Jackie Aina from the United States, Mexico’s Yuya, Taty Ferreira of Brazil, Hayla Ghazal of the United Arab Emirates, Louise Pentland of the UK, and Japan’s Chika Yoshida. Each woman will be created specific content on their own channel, as well as the Youtube Spaces channel, which will empower other female voices to be raised both in front of and behind the camera. “I want people around the world to know that when our women are empowered, we can do so much in the workplace, in the economy, at home, in schools, and everywhere else. And I want those same opportunities even more to be available to minority women,” said Jackie Aina in a statement to Tubefilter.com. Youtube are taking the mission of female empowerment seriously and tapping into their vast universe of digital talent that have the type of following and viewership some traditional broadcast stars could only dream of. We’re talking about millions of views on single videos in some cases, and a medium that can be viewed anywhere, anytime, on any device, as long as there’s wifi. Now THAT is indeed the type of power any organization looking to impact a broad audience reach would want to tap into. But it’s not just International Women’s Day that Youtube created content for, or even just Women’s History Month in the US. They are thinking global. Aside form the aforementioned 7 influencers, the Google-owned popular video platform has shot more than 50 videos at Youtube Space studios in Los Angeles, London, Tokyo, New York, São Paulo, and Berlin with a specially-designed panel of creatives including Anna Akana and Alexys Fleming of the U.S., Julia Veiga Faria of Brazil, Em Ford of the UK, Nilam Farooq of Germany, and Kuma Miki of Japan. This panel won’t just make content themselves, they are going to be mentoring emerging creators to help shape and raise their voices to an amplified audience. For this broader initiative, Youtube partnered with the Geena Davis Institute on Gender in Media to bring some expert industry insight into the gender equality problem on screen. “Entertainment today often depicts a society where there are far fewer female characters than male characters, and the characters that are female are often more stereotyped. We need more strong female voices represented in media so that this gender balance becomes normal to the young girls who are turning on their screens,” said founder Geena Davis in a statement. According to data from 2015, although Youtube has a pretty even split of male-female viewers, but the platform is still largely male-dominated. Men spend 44% more time on the site per month, and of 51 categories of YouTube content measured by OpenSlate, men make up the majority of viewers in 90% of them. One area where there is a clear majority is age. Just over 98% of millennials who use the internet spend a significant amount of time on the site, compared to roughly 75% of over-65 year-olds. Using Youtube stars to share messages about gender equality is not just a great idea, it is an imperative. There has never been a better platform to encourage women to raise their voices about the topics that matter most to them than now. “YouTube has always been a platform where women of all ages and backgrounds can find their voice and tell their stories. Through our global YouTube Spaces program and new partnership with the U.N., we’ll strengthen female voices on YouTube and around the world,” said Youtube CEO Susan Wojcicki in a statement.